Rick is a Senior Revenue Cycle Consultant and Epic Project Manager who joined The Wilshire Group in 2017. Rick specializes in Epic Revenue Cycle Optimization with a concentration in charging and revenue integrity related workflows as well as Epic Project Management. He has over 9 years of experience in the healthcare industry, implementing, managing, and improving Epic’s revenue cycle and clinical products. 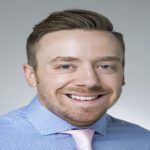 His experience includes managing start-to-finish enterprise implementations at seven large health systems, participating in and orchestrating dozens of go-lives, as well as supporting and executing revenue cycle projects at various stages of implementation. Rick received his BA in Broadfield Social Studies with a Concentration in Secondary Education from Edgewood College in Madison, WI. Epic: Hospital Billing, EpicCare Home Health, MyChart, Reporting Workbench, Expected Reimbursement Contracts.